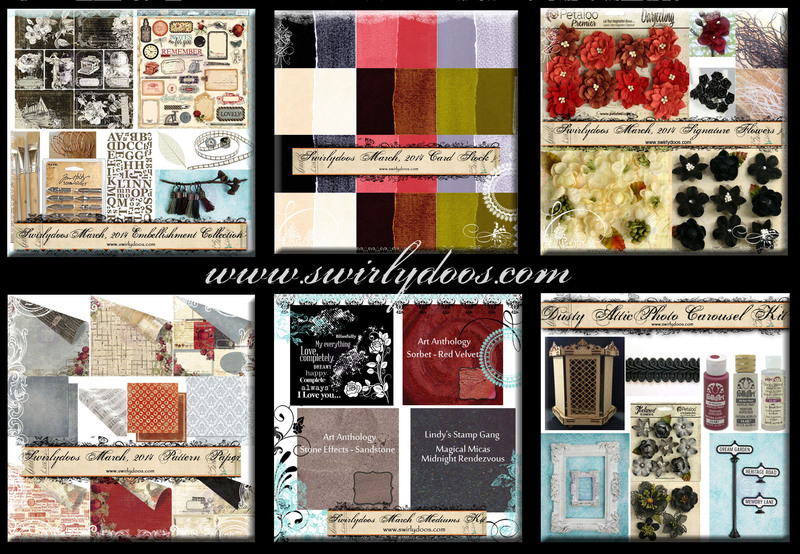 Swirlydoos March Blog Hop–I’m A Guest Educator! Hello, hello Friends! 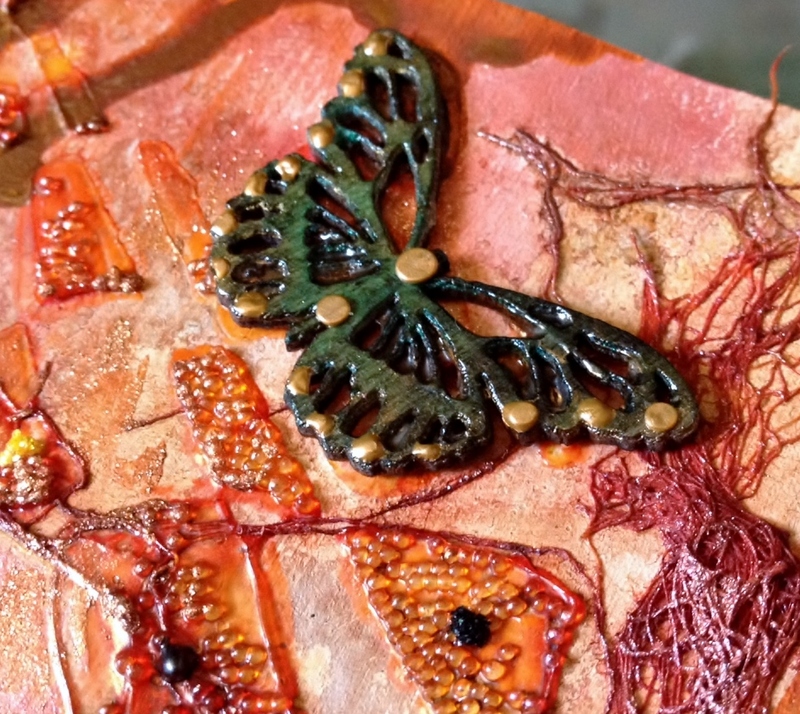 I am so excited to participate in the Swirlydoos March Blog Hop as a Guest Educator for the Art Journal Starter Kit. 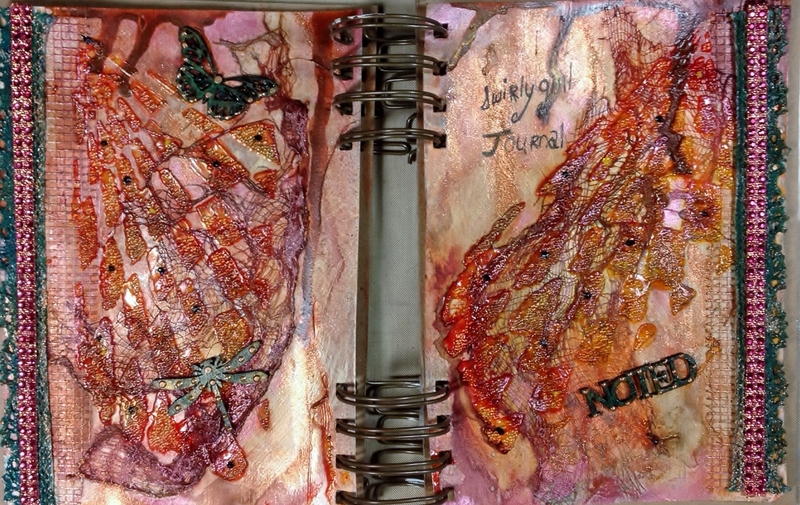 If you have been interested in art journaling this is a fine place to begin. I know you will see many gorgeous and creative inspirational projects from all the designers on the Swirlydoos Design Team and there are fabulous prizes in store for the winners of the hop. Thank you for visiting today and please stop by again soon! March Scrapbook Kit Reveal & Blog Hop! If you came here from Petaloo’s blog, then you are on the right track. If not, go back to Swirlydoos’ blog and start from there. We have some amazing projects for you to see today !! Make sure to leave a comment on all of the blogs for a chance to win!!! Make sure you have LIKED & FOLLOWED Swirlydoos on Facebook!!! 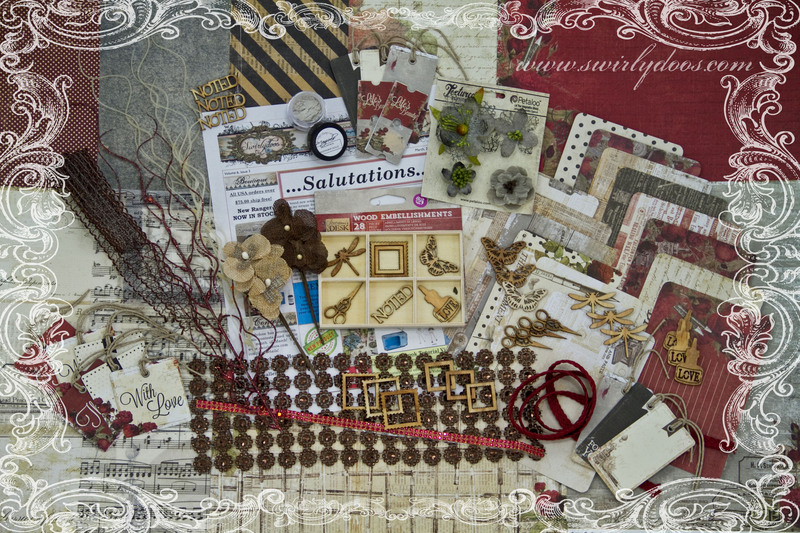 And check out these coordinating add ons that perfectly compliment our March scrapbook kit! Are you a subscriber? If so, your kit is on it’s way! If not, check out the Swirlydoos store to see if there are any March kits or add ons in the store! Has it sold out? – become a subscriber and not only will you never miss a kit again, but you’ll also pay less for your monthly scrapbook kits! Here is my project for the blog hop! 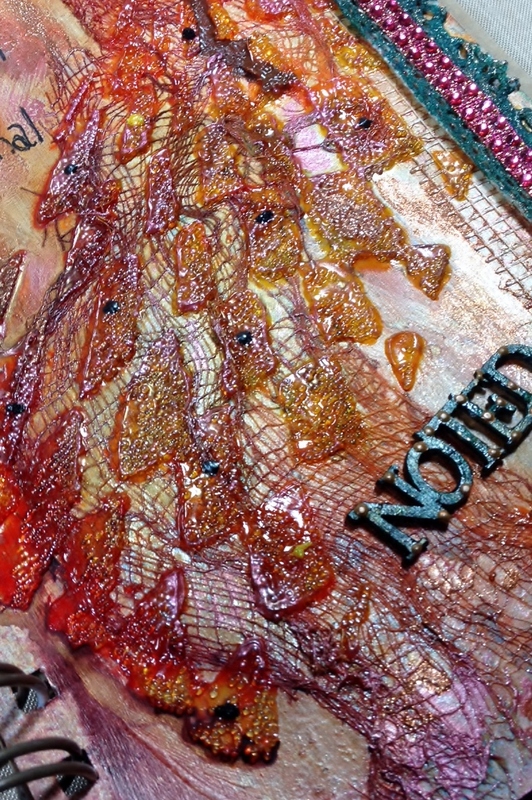 Loads of texture and mixed media! I also prepared a video to show you the basics on how to prepare your pages and get started with your own art journal practice! Visit Swirlydoos channel on YouTube to check that out (http:\\swirlydoos.youtube.com). So, let’s get started! Make sure to leave a comment on all of the blogs for a chance to win!!! 3: Finally, go back to the Swirlydoos blog and leave a comment letting us know how much fun you had, tell us the sentence that was created with all of the special words you collected. Can’t wait to hear from you. The party continues over at Paulien’s blog. Have fun! 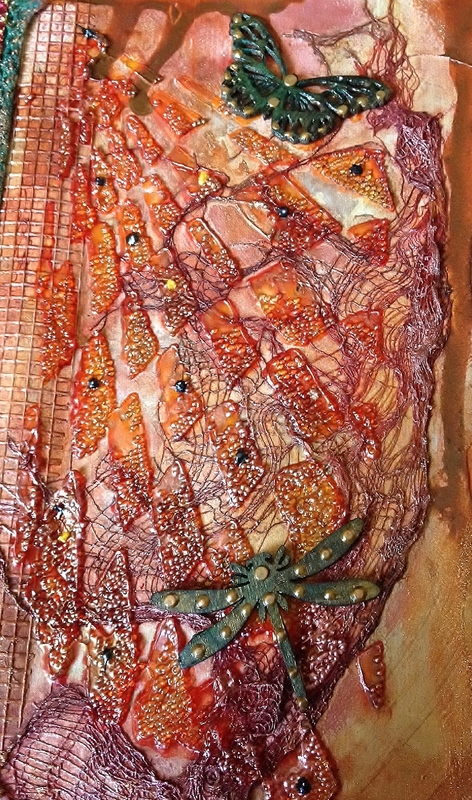 Now that is an art journal! the texture is awesome. Now this is an art journa;! I like the movement and texture.